Message From the President – WCBC VIP Night! UPDATED!! April 5, 2018 update from Ben Meeder at the Trek Store. I know that I’ll be there! If you haven’t already done so, please let me know if you are coming. The Trek Store on Concord Pike (formerly Bike Line) is holding a night of specials for members of the WCBC. 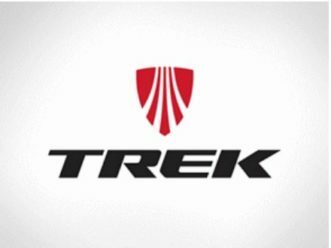 The store manager, Ben Meeder wants to introduce the membership to the new Trek store, to show what they have to offer in the way of bikes and gear. He is excited to meet everyone and has offered to close the doors to the public and make Sunday, April 8th an evening of raffles, giveaways, activities, food and beverage, and exclusive discounts with afterhours shopping. The Trek store will be offering special discounts on everything in the store, including bikes to make sure that you are ready when your riding season goes full swing. Ben suggests that if you want to special order something please do so in advance and pick it up Sunday night at the VIP night. He will have staff on-site to work with everyone to demonstrate their gear and answer questions that we may have. Over this long winter have you been riding a trainer while praying for warmer, drier weather? Or maybe you are considering purchasing your first trainer. Ben has smart trainers set up and connected to Zwift to demonstrate how the system works, and his staff can answer any questions you might have about this indoor training activity. Feel free to bring a kit and shoes with you so you can try out what they have, if you want, you can compete against those on Zwift or maybe even have a little head-to-head competition there in the store. As I mentioned above, this is an offer being made to members of White Clay Bicycle Club, so if you plan to attend you must renew your membership in advance as we will not be taking membership renewals at the event. All memberships are now online only, so to join or renew your membership select this link to go to the WCBC Membership page of BikeReg. Membership this year has been lowered to $15 for a Single Membership and $20 for a Family Membership. From what Ben told me if you spend more than $100, you’ll get your membership fee back in Trek discounts, so how can you lose. Besides who can go into a bike shop and not find a way to spend more than $100 in like 15 minutes anyway! So that Ben and his staff have enough food, beverage, and staff on hand for us I need to provide him with a head count. If you plan to attend please drop me an email at President@whiteclaybicycleclub.org to let me know how many you will be bringing with you. Please let me know no later than Noon Saturday, April 7th so I can share that information with Ben. I hope that the Club turns out for this great opportunity to make purchases at a discounted price.